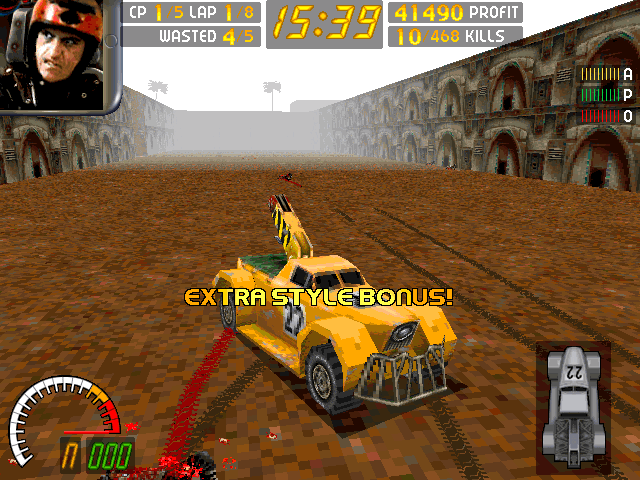 Carmageddon, inspired by the 1975 cult classic movie Death Race 2000, is the first of a series of graphically violent driving-oriented video games produced by Stainless Games. The game involves winning a race by any means possible. There are several ways to win. 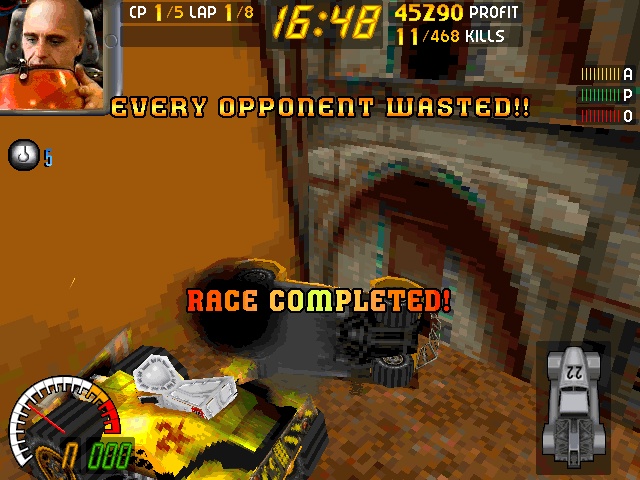 The player can (1) destroy all other contestants in the race by destroying their vehicles; (2) kill every single ‘zombie’ on the map, of which there are usually several hundred; (3) complete the race, achieving a reasonable finishing position – this has to be done with the other contestants attempting to destroy your car. It is quite difficult to do the game justice. It’s an old DOS/Win95 game, released in 1997, and the graphics aren’t amazing. 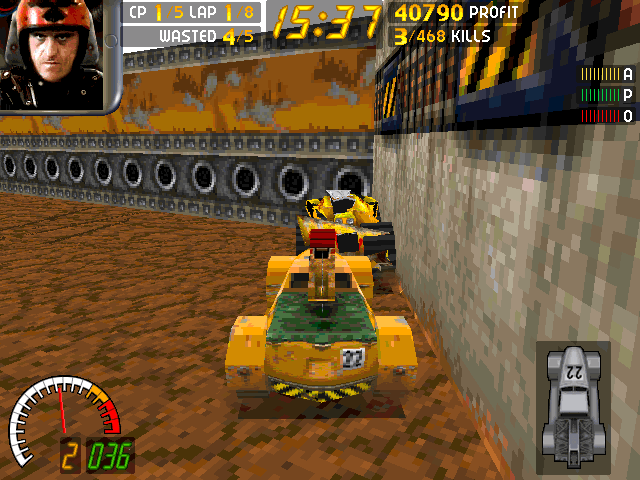 The game is noted to have a good physics engine (for its time), and was quite revolutionary in the fact that there were no strict limits to where the user could drive, meaning that the player is able to drive for miles away from the track. Below are a few screenshots I took for this page specifically. I shall take more interesting ones during gameplay soon.